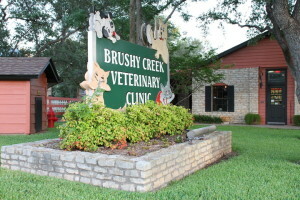 Brushy Creek Veterinary Clinic was established in the early 1980’s in Round Rock by Dr. Jane Duncan and was one of the first few clinics in the area. Originally, the clinic was located in the strip center on the east side of I-35 where the current Antique Mall is located. 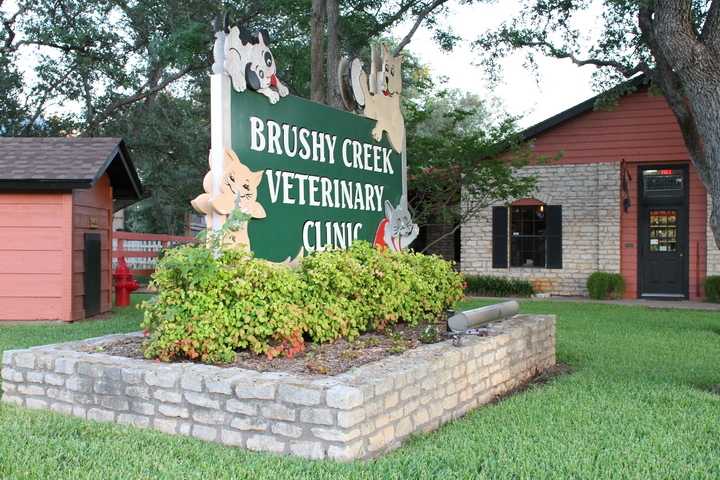 After a few years at that location, Dr. Duncan built the current building on Hwy 620 and practiced there until she sold the practice to Dr. Naylor in 1990. Although the building looks like a converted house, it was built as a clinic from the beginning but the desire was for it to fit in with the other houses in what was an undeveloped stretch of Hwy 620. Dr. Jay Naylor has been the owner since then and has had the privilege of serving the community for over 25 years. Over the years, the property on which the clinic sits has changed quite a bit with clean up of some of the undeveloped areas as the Hwy 620 corridor has continued to expand and grow. 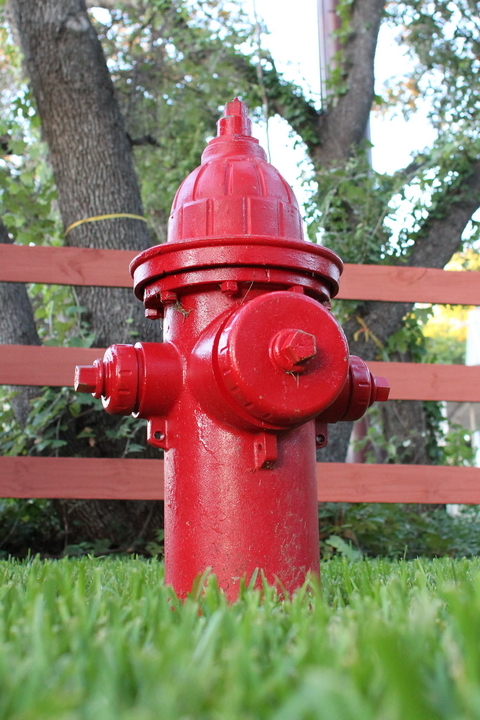 In the early days, one of our patients was the Round Rock Fire Department’s Dalmatian mascot, “Salvage”. We were privileged to care for his health for many years and surprised when several firemen arrived in a firetruck to present the clinic with a red fire hydrant as a token of their appreciation. We are honored to have it displayed in the front yard. With the growth of Round Rock came significant growth in the numbers of pets that we have seen allowing us to go from a staff of 3 to a staff of 10-12 and affording us the opportunity to meet several new residents in our community. We look forward to many more years of serving the pets and their owners in our community and “Staying in tune with your pet’s health”.